After just a few days back in Rome, the students were off to another Art & Architecture site visit to the Basilica of San Clemente, which has a history of over 2,000 years and is one of the most richly adorned churches in the city. The basilica has three principle “layers”: the present basilica was built during the height of the Middle Ages and is seated on top of a 4th century basilica, which was built over what was once a pagan temple in the first century. Dr. Robinson spoke to the class about each level and gave a detailed analysis of the striking mosaics on the apse and triumphal arch of the present basilica. Students then made their way down to the lower levels of the three-tiered church, exploring the layers of this basilica’s long history. 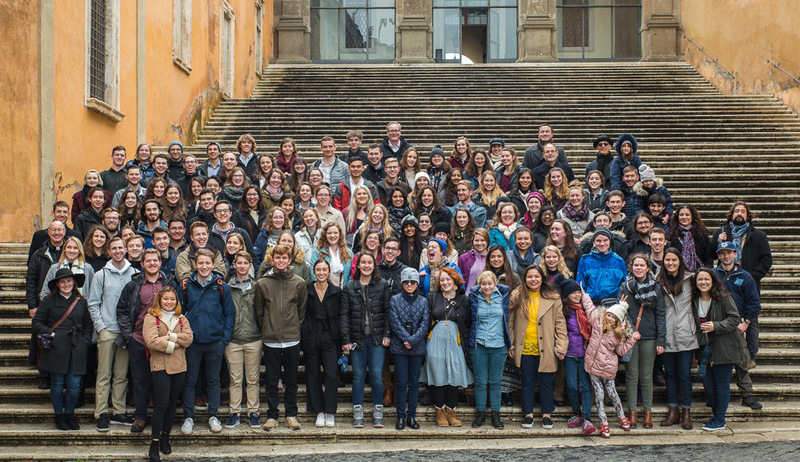 The Spring 2019 Rome class arrived in Italy on Saturday, January 19 to begin four months of traveling, studying, and reveling in all that Europe, Italy and Rome has to offer. They wasted no time jumping right in with site tours, mass at St. Peter's and loads of traditional Italian cenas. The Fall Romers left for their last group trip of the semester on Wednesday, November 7. 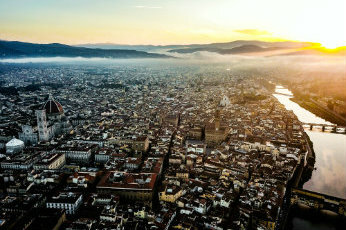 The group traveled to visit Florence, Venice and Assisi. Some of the highlights of the trip include visits to the Doges' Palace and San Marco in Venice and the Uffizi, Accademia and Duomo in Florence. The Fall 2018 Rome class headed off for their 10-day trip to Greece on Friday, September 28. 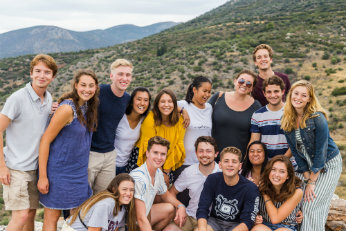 The Greece Trip is one of the highlights of the Rome Semester as students travel to some of the greatest cities and the richest sites of the ancient world. Following the Greece Trip students set out to explore the rest of Europe on their own during their fall break.